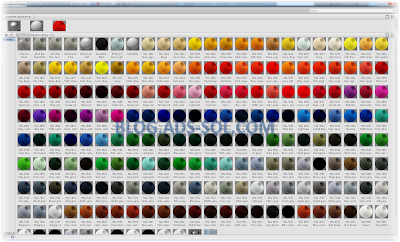 A while ago I had to dig out a couple of RAL colors for a project and decided to do them all. 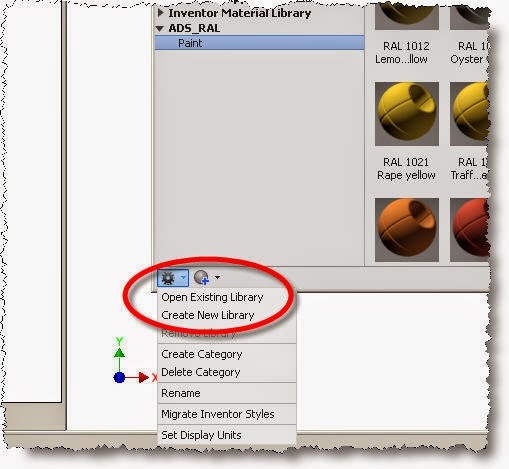 The zipped ADS_RAL library was done for Inventor 2013 but it can be migrated to latest version. 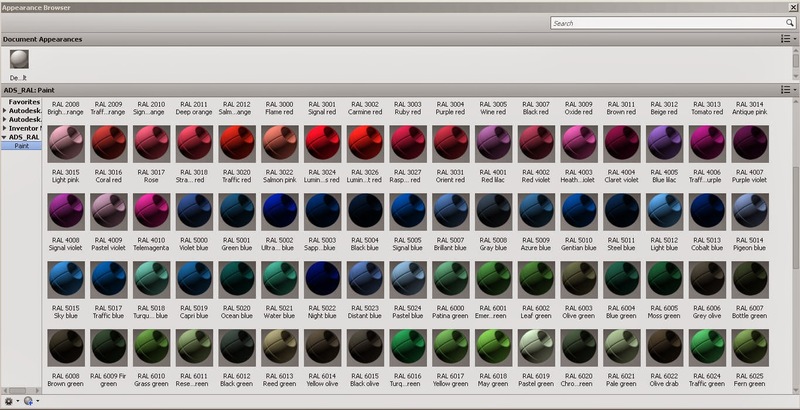 You need to go to Tools/Appearance and at the lower right corner click on the gear and use Open Library pointing to our file. 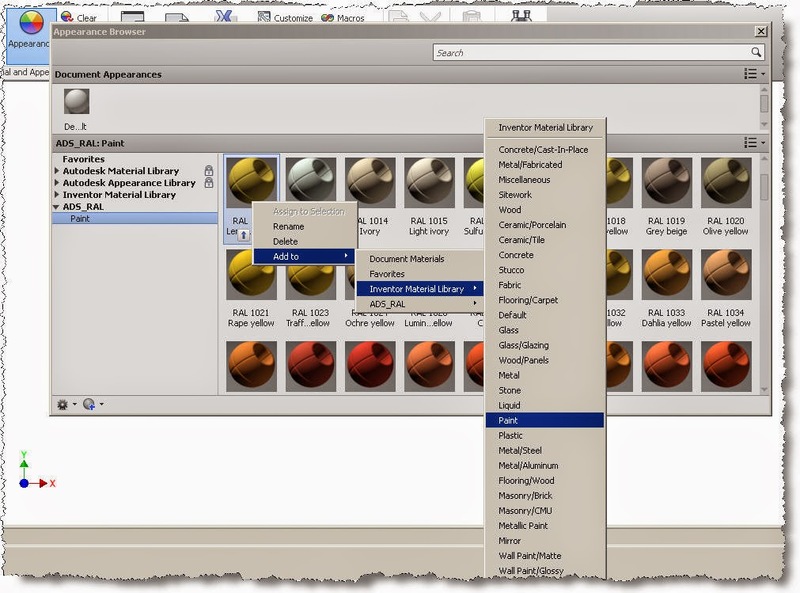 Then you can copy the colors to any Category on your library.